Chilka Lake – The humble abode of countless migratory birds and marine life, Chilka lake is an eccentric beauty that is a delight to look at. 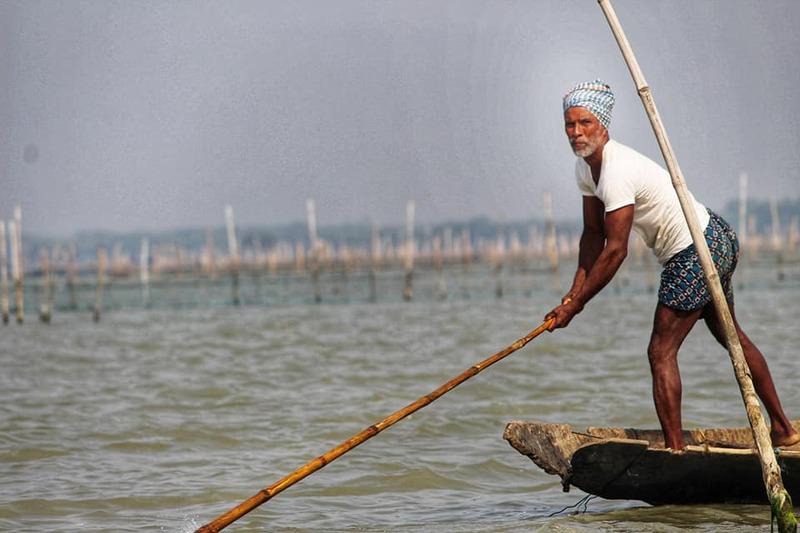 The largest saltwater lake of Asia, it is unbelievably vast as an ocean and is nestled in the coastal area of eastern Odisha. India’s largest and world’s second largest saltwater lagoon, this magnificent lake proudly boasts to host more than 150 species of migratory birds travelling as far as from Russia and Mongolia. Making it the largest winter stopover spot for the migratory birds in India, the lake is captivating in its own way. As if the enchanting cool breeze of this salty lake was not enough to leave its guests spellbound, this natural habitat emits a wave of tranquillity in the air making it so worth to visit. Although the place has been proved as a blockbuster amongst the nature lovers and avid photographers, it offers several breathtaking experiences that one might hold dear forever. The remarkable beauty is dotted with many lovely islands that are refreshing and deeply connected with nature. This pristine lake is mere not a lake widespread for boat rides, rather it surprises you with its mystical beauty and picturesque views. From dolphins to exquisite migratory birds, the lake has an impressive list of things to showcase. A photographer’s delight and an ideal destination for a small picnic, Chilka lake is impeccable for its tourists. Promising a visual treat to its viewers, it is a place that cannot be skipped from the travel itineraries and this is often, why we expect the travel enthusiasts must stop by at this ultimate destination once in their lifetime. The most eye-pleasing experience one could think of in Chilka is catching a glimpse of a number of gorgeous and endangered migratory birds which includes more than 150 species at this location. Peaking into their morning activities and to witness their special bond with nature would for sure leave you awed for hours. These attractive birds including white-bellied sea eagles, flamingos, herons and graylag geese have created their beautiful bird sanctuary in the island of Nalabana which has a circumference of 8 km. If Kashmir is the paradise of snow clad mountains, then Chilka can be rightly said as the paradise for birds. Although early mornings are typically the best time to look at these tiny creatures singing and dabbling in the water, the island will steal your heart for its sunrise and sunset sights too. The island gets utterly submerged during monsoons and summers is no charm as not many birds may well be noticed around this time. The lake sanctuary isn’t solely the home of extremely charming birds however also impresses its guests with the presence of much marine life. More than 160 species of aquatic life including crabs, prawns, and other marine creatures, the Satpada island is indeed a fascinating house for the world. Dolphin point or Satpada is the most visited spot in Chilka that draws countless tourists to experience a breathtaking sight. A must visit spot for thousands of nature lovers, this place is popular to witness the rarest breed of Irrawady dolphins doing summersaults in this blue water. Other than Irrawady, one could spot bottle-nosed dolphins too here which can melt your heart in no time. Although, the boats are available throughout the day early morning is the most suitable time to spot so many dolphins at one time. A pilgrim site for many locals now, Kali Jai island is well-liked for its Kali temple. Thousands of devotees can be spotted here during the Makar Sankranti festival which is celebrated with grand pomp. Other than the attractive location, the dancing peacocks around the KaliJai temple is a pleasing sight. If we hear to the local stories, many years ago a girl with the name of Jai got drowned in the lake and later was believed as the rebirth of goddess Kali. Jai was a young girl who got married at an awfully early age and was returning to her husband’s house accompanied by her father. While travelling in the boat, they experienced a massive cyclone which unfortunately took jail along. She couldn’t be found however her cries was a regular affair for anybody who happened to cross that island. Based on a few instances, locals started believing that she is the reincarnation of goddess Kali and set to make a temple. Boating is always fun but when the vessel takes you on a mesmeric lake that is as massive as an ocean, one could not stop his heartbeats to accelerate. The lake is extremely popular for its boating experience and leaves an everlasting impression on its guests. Spotting the impeccable dolphins jumping here and there along with some of the incredibly gorgeous birds makes the tour indeed a winsome journey. No matter how bromide it sounds, but the breakfast island is undoubtedly so gorgeous that tourists do pack their breakfast and luxuriate in their first meal of the day at this stunning location. Enclosed with picturesque viewpoints and sights, this island is a shangrila for all its tourists. Just like Breakfast island, there are many beautiful islands close to chilka lake including honeymoon island and beacon island which are immensely mesmerizing and a perfect place to get loosen up. Once thought about as a developing state of India, Odisha was not explored by many travel lovers in the past and was mainly popular for the world famous Jagganath Puri temple and its sun temple. However, lately Odisha tourism has boomed significantly making the road connectivity and other travel required things like accommodation, transport, food etc much better for its visitors. So, if you have not explored this eastern part of the country yet, then its time to explore a number of miraculously superb places of Odisha. To start with simply hop in to visit the world famous Jagganath Puri and Konark sun temple. The most visited tourist destination in Odisha, Puri is generally famed for its world-renowned Jagganath Puri temple and its extremely gorgeous Puri beach. The heartthrob of the state, this spiritual city attracts millions of travellers to stop by and experience a rejuvenating vacation. Puri is additionally fashionable for its Rath yatra that happens once a year in the month of June and today is well known worldwide too. The home of Lord Jagganath, Puri is one of the chaar dhaam yatra spots of India and has a plethora of handicrafts to showcase. Check out to know more about the mysterious Jagannath Puri temple which has many desirable facts that makes it so worth to visit. The turquoise water of Puri beach in all probability never enjoys a solitary moment apart from the late night as its too engrossed in embracing all its guests amorously. The most popular beach for people of Odisha and West Bengal, it is a great place to enjoy life to the fullest. The sand art creation on the Puri beach shore and the cultural events organized for the viewers is nothing but a jackpot for any tourist. 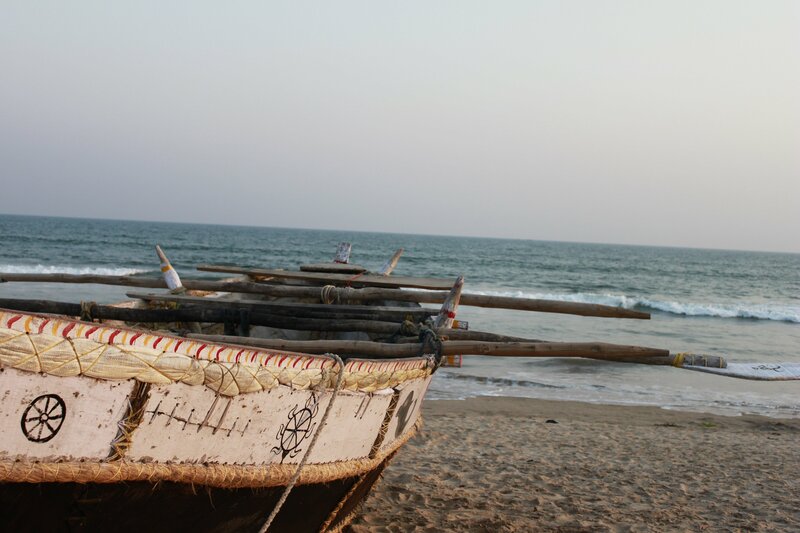 Check out to know more about the puri beach which is quite popular amongst the surfer’s community too. How to reach Chilka from Puri – The fastest way to reach Chilka (Satpada) from Puri is by a road journey that might take nearly 1 – 1.5 hours. One of its own kind, the Konark sun temple is one such gem of Odisha that requires no introduction. With surprisingly stunning design vogue, this marvel building showcases beautiful stone carvings that amaze its guests in no time. Its Konark festival that takes place in the month of December offers a pleasant experience with dancers from all over the country performing different dance forms including the famous Odishi (dance form of Odisha). Close to the temple, another charming beach is noticed that is splendidly referred to as Chandrabhaga beach. Check out to know more about Konark Sun Temple a UNESCO heritage site of Odisha. How to reach Chilka from Konark – Covering a distance of 61 km by road, Chilka is easily accessible in 1 hour and 15 mins time from Konark. Other than these two prides of Odisha, one may like to visit the Dhauli Giri (Buddha Shanti stupa), Khandigiri and Udaigiri caves and the Lingaraj Shiva temple of Bhubaneswar. Another few charms of Odisha are Bhitar Kanika wetland (the only crocodile sanctuary), Chandipur beach, the tribal zones of Odisha and of course the Hirakud dam. Unlike other tourist attractions of incredible Odisha like Puri and Konark, this place is not so popular during summers and monsoons. Winters being a perfect time to welcome the migratory birds, countless tourists prefer this time of the year the most to pay a visit to this gorgeous land. Road Journey – Travel enthusiasts travelling from Bhubaneswar can reach Chilka in around 2 hours in either a bus or taxi. (both state government and private buses are easily available from the Baramunda bus station). One has to take a bus for Balugaon and from there an auto rickshaw or taxi till Barakul or Rambha to get the boat rides. Tourists travelling from Puri can cover a distance till Satapuda. Plane Journey – The nearest airport to Chilka is the Bhubaneswar airport which is located in the smart city of Bhubaneswar. From Bhubaneswar, one could enjoy a road journey in a bus or private taxi covering a distance of 120 km. Rail Journey – The nearest railway station is the Balugaon station which can approximately take 1 or 1.5 hours to reach Chilka. Due to its immense popularity amongst tourists, many comfortable hotels and guestrooms can be spotted around the vicinity of the lake. One could choose from the state-run guest rooms to the luxurious bungalows as per their requirement and tariffs. Located in the coastal zone, the place gives birth to many delicious seafood dishes made of crabs, fishes, prawns etc that one may regret it didn’t get a chance to taste. The early you start your day, the probability of gazing as many lovely dolphins and birds increases. It is advisable to grab your own eatables while going for a boat ride as not many shops can be spotted at the bank and also limited things like chips and coconut water are the only rescue. Chilka lake area is highly dominated by the private boating agents which often highlights lack of cooperation from the people based there. Also, beware of the amount quoted by the private boating agencies. As high as 3000 -4000 rs they quote, it might be a good choice to check with the Odisha tourist department that has made state-run boats available for its guests. 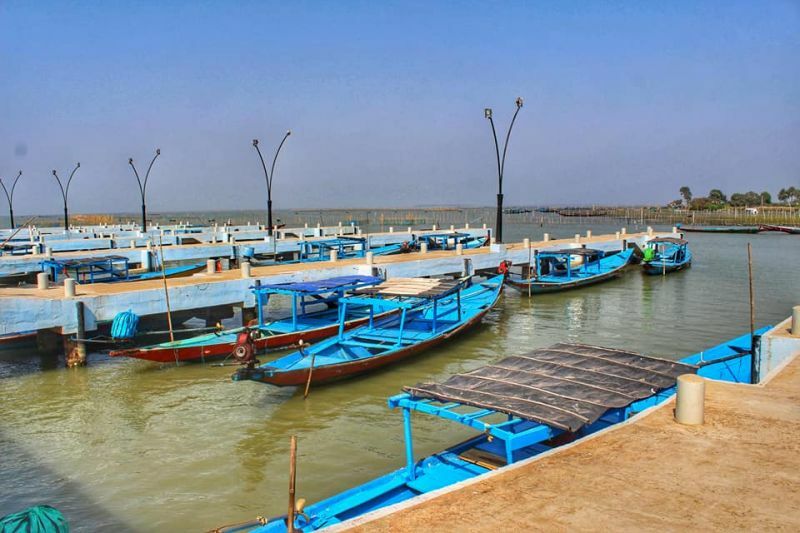 Quite an offbeat holiday spot for vacationing, Chilka lake turns out to be an ideal place to connect with nature and to enjoy the tranquillity. A lake which is no less than an ocean is eternally refreshing and irresistible to explore. A romantic stroll at its golden beach and a close view at the wildlife activities needs special mention and most importantly the serene view of the entire lake and surrounded islands is the highlighter. Please share your valuable comments and suggestions on the comment section and do press the like button if this article turned out to be useful to you.